Pate a Choux is an essential pastry recipe that is the base for many desserts; cream puffs, eclairs, gougères, churros just to name a few. 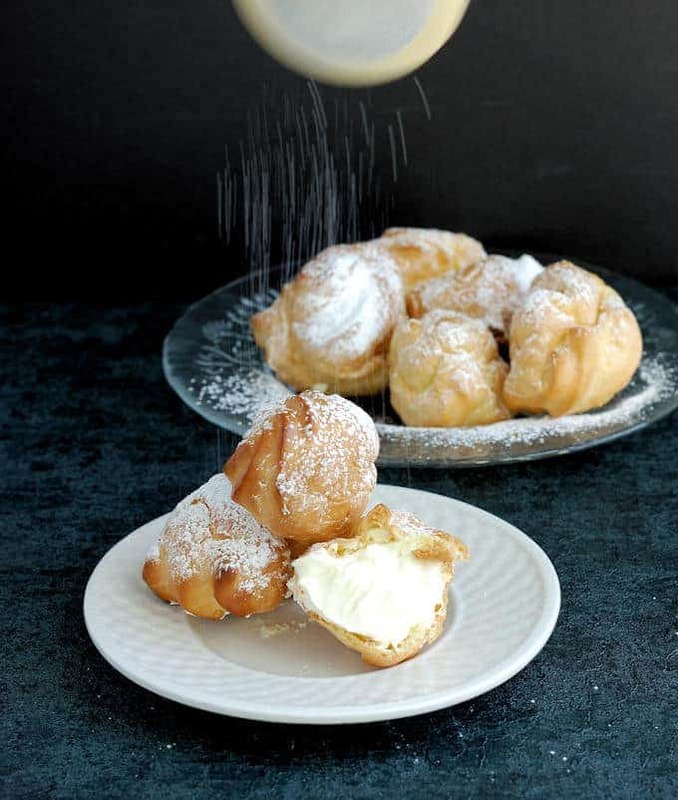 Use this batter to make light as a feather cream puffs filled with Vanilla Rum Pastry Cream. In a professional pastry kitchen we don’t reinvent the wheel for every single dish. We have a repertoire of what I’m calling, “essential recipes”. These are recipes that we use over and over again in various forms to create new variations on standard recipes. Pate a Choux is an essential recipe because it forms the base of many other dishes. It’s not a one trick pony. 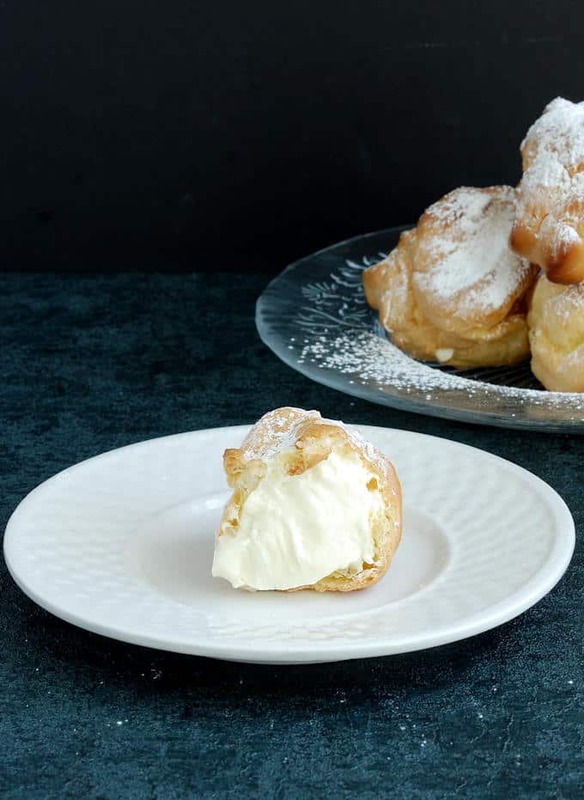 Master this rather simple dough and you can make these cream puffs, but also chocolate eclairs, gougères, churros and some really fancy French pastries like a croquembouche, St. Honoré cake and Paris-Brest. 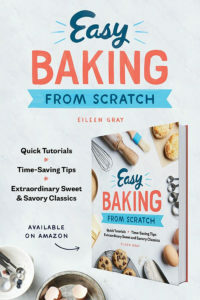 All baked goods rise because air in the batter or dough expands when heated. The air bubbles are trapped in a network of protein and/or starch and form the “crumb”. The air bubbles can be formed by different means for different recipes. Physical manipulation of the ingredients creates air bubbles, as is the case when you use the “creaming” method for a traditional pound cake. 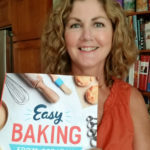 Chemical Leaveners and yeast will react with water and other ingredients in the recipe and release carbon dioxide gas, which forms air bubbles in the batter or dough. Pate a Choux is interesting because it is a big release of steam that creates the air in the batter. The high proportion of liquid and protein in this batter work together to create the special “crumb”, which is essentially a giant air pocket trapped in a crisp shell. In the oven, as the outside of the cream puff begins to set, the batter inside still has lots of moisture. As the moisture heats up and forms steam, this pushes the batter out and forms the large air cavities that are just begging for a delicious filling. 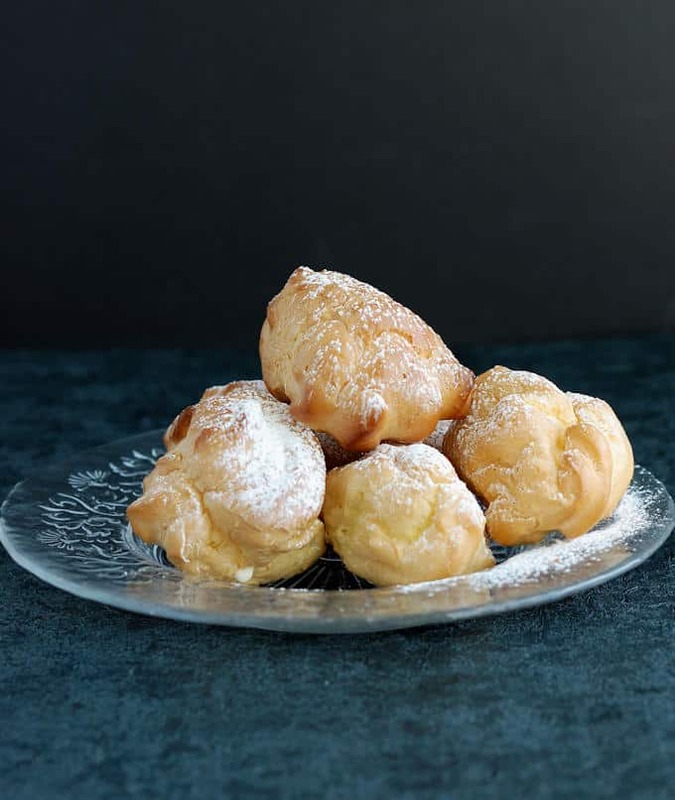 Choux batter also has a high proportion of protein from the flour and eggs, which forms a strong shell around the air. The stronger the shell, the higher it can expand. 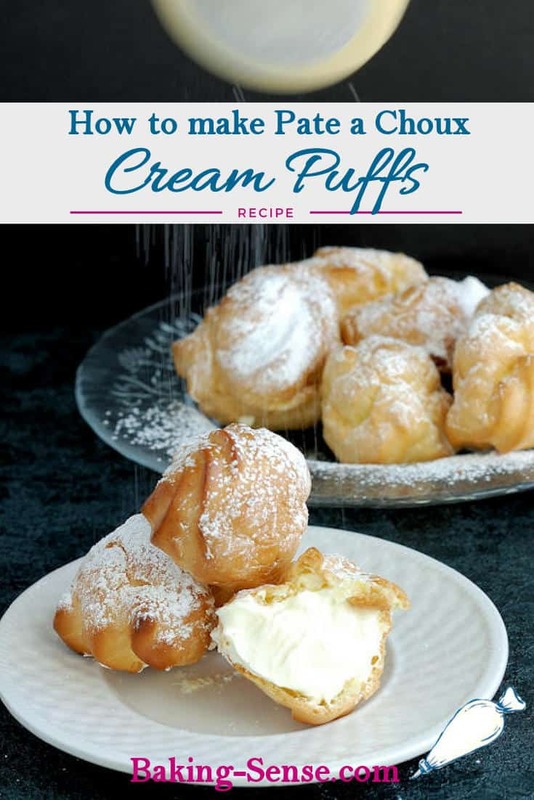 For cream puffs I want maximum crispness and maximum capacity for the creamy filling. 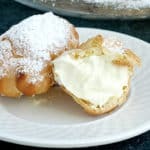 For this reason I use high protein bread flour and extra egg whites in my Cream Puff batter. 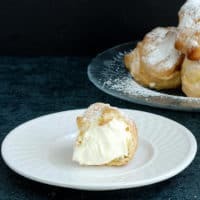 To make a slightly softer and more tender choux pastry recipe you can use milk instead of water, 4 whole eggs instead of extra whites, and/or all purpose flour instead of bread flour. 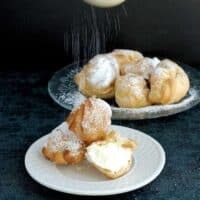 When I make gougeres, those delicious little cheesy pastries, I like to make a slightly richer batter and will make those changes to alter the texture of the final product. Once again, knowing the science behind the ingredients helps you create the art of a perfect baked good. 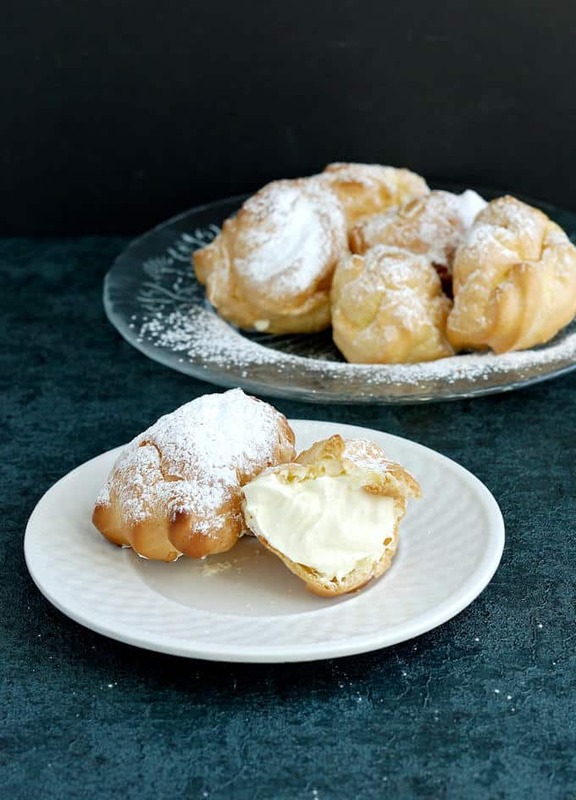 Watch the recipe video to see how to make Pate a Choux & Cream Puffs. Pate a Choux is an essential pastry recipe that is the base for many desserts; cream puffs, eclairs, gougères, churros just to name a few. 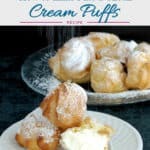 This recipe includes a Vanilla Pastry Cream filling for cream puffs. Combine the water, butter, salt and sugar in a saucepan. Bring the water to a full boil. Remove the pan from the heat and add the flour all a once. Vigorously stir the batter until the flour is absorbed and there are no lumps. Return the pan to medium low heat and continue stirring for 3 minutes. The batter will come together and form a smooth, cohesive ball. 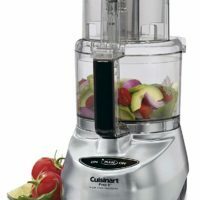 Remove the pan from the heat and transfer the batter to a food processor fitted with a blade (if mixing by hand transfer to a mixing bowl). With the processor running, add eggs in a steady stream. Mix until the batter comes together. Preheat the oven to 375°F convection or 400°F regular. 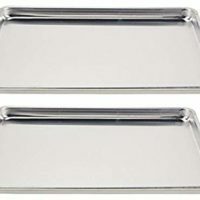 Line a 1/2 sheet pan with parchment paper or a silicone baking mat. Put a dab of batter into the four corners of the pan to stick the parchment to the pan. Remove the puffs from the oven and turn off the heat. 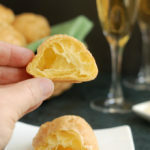 Use a small paring knife to form a small hole in the bottom of each puff. Return the tray to the still warm (but turned off) oven and allow the puffs to dry for at least 30 minutes. Cool to room temperature before filling (see note 3). Whip the cream with the powdered sugar. Fold the cream into the pastry cream in two batches. Don't overstir! 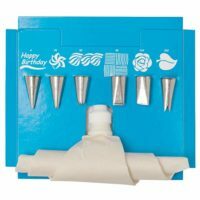 Scoop the cream into a pastry bag fitted with a small, plain tip. Pipe the filling into the cream puffs, making sure each puff is completely filled. Refrigerate until serving. Sprinkle with powdered sugar just before serving. 1. If measuring by volume use the "dip & sweep" method. 2. Save the extra yolks to make pastry cream filling. 3. 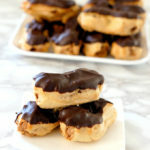 The baked puffs or eclairs freeze very well. Pack them into freezer bags (don't overcrowd or crush) and freeze for up to a month. To use, line the frozen puffs on a sheet pan and heat in a 350°F oven for 5 minutes. Cool and fill. Vanilla Pastry Cream is an essential baking recipe. 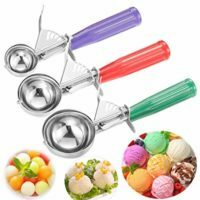 Use it to fill cream puffs or eclairs. Add chocolate or bananas for a cream pie filling. Put it under fresh fruit in a tart shell, or between layers of puff pastry for napoleons. One essential recipe, so many possibilities. Heat milk, 1/2 of the sugar, the salt and the vanilla bean until scalding. Meanwhile, whisk the eggs, yolks, remaining sugar and the cornstarch. Whisk the scalding milk into the egg mixture, then return to the pan. Cook over low heat, stirring constantly, until the mixture thickens and just begins to boil. Immediately strain the pastry cream into a clean bowl. Immediately add the butter and rum. Stir until the butter is melted. 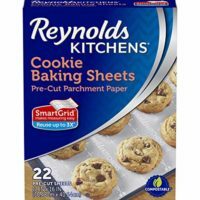 Cover with waxed paper or buttered parchment directly on the surface and cool to room temperature, chill several hours or overnight until completely cooled and set. Variations: To make chocolate pastry cream, add 4 oz of chopped semi sweet chocolate with the butter and rum. Stir until all the chocolate is melted. To make coffee pastry cream add 1 Tbsp of espresso powder to the scalded milk.